Paintings by Susan B. Luca and discussions concerning art, creativity and travel. 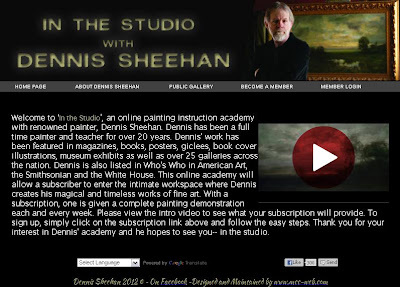 Great news, Dennis Sheehan is now offering an on-line video academy with step by step instructions. He plans to do one instructional video per week plus one or more silent videos. The subject matter includes landscapes and portraits. He may also do some still life paintings. If you've watched his videos on You Tube these are even better. 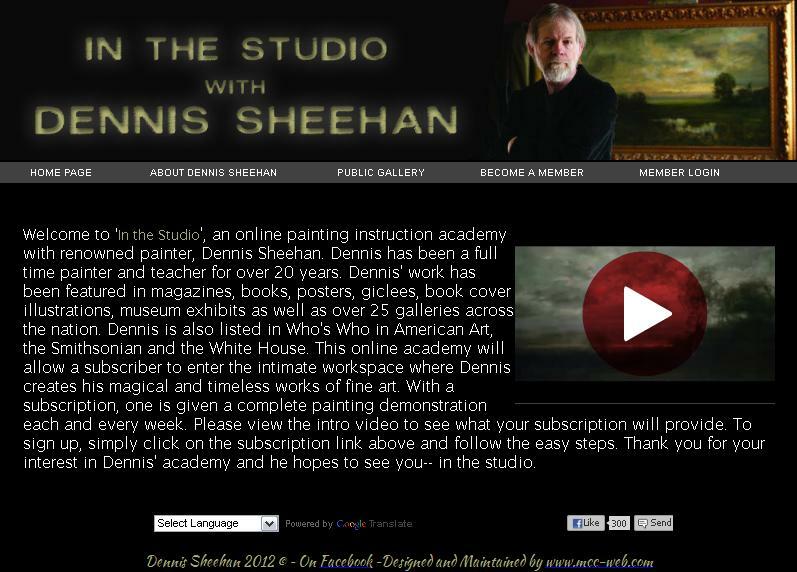 Please visit his new Web site http://www.sheehanacademy.com/ and start learning how to paint beautiful landscapes and portraits using Dennis's methods. Welcome to my blog and I hope you enjoy viewing my paintings and reading my posts. The arts, both doing and viewing have been a great part of my life and I hope you also are inspired to include art in your life. My husband and I enjoy traveling and always visit as many art museums as possible as well as attending local shows of interest. Some where along the visits to museums I became a great fan of Corot landscape paintings and this grew to a love of the Barbizon artists. Perhaps this is why I'm happiest doing a landscape painting. A lot of my inspirations come from studying Tonalism, The Hudson River School and The White Mountain Painters. Please enjoy viewing my paintings and reading about my art adventures. copywrite 2012. Watermark theme. Powered by Blogger.